Clara B. 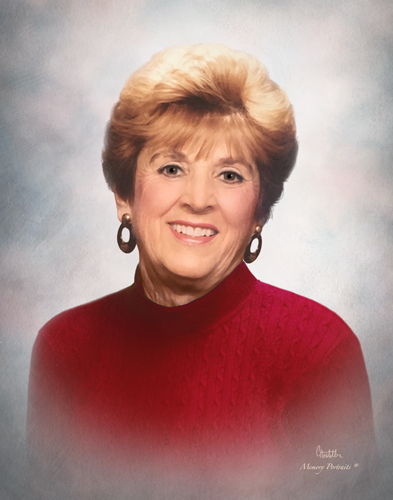 (Vote) Stitt, age 91, formerly of Evansville, IN, passed away Thursday, February 7, 2019, at Monticello West in Dallas, TX, surrounded by her family and where she had been in memory care for the past six years. Clara was born October 25, 1927, in Boonville, IN, to the late Mayme (Ashley) Vote and Clayson Vote. She grew up on Ashley Hill Farm and later graduated from Central High School in 1945 with honors. Clara then worked for SIGECO, International Harvester and the family business, Deaconess Hospital Beauty Salon, with her mother and sister. Clara was active in Beta Sigma Phi and Tri Kappa sororities, was past president of Scott School PTA, and enjoyed volunteering for the Reitz Home Museum. Most importantly, Clara loved the Lord and was a lifetime member of First Baptist Church along with her sister Virginia, and their mother, Mayme. At First Baptist, she was always active and gladly taught children’s Sunday School, served as church treasurer, usher and greeter. She was a devoted wife of her late husband, Bill, that passed at an early age of 48. She spent countless hours chauffeuring her children to and from their many activities so they could live close to Stitt Farms where Bill worked. Clara was a gracious hostess and cook as she and Bill loved to entertain others in their home. While her children attended Indiana University, Clara became an avid “Hoosiers” basketball fan. When she wasn’t cheering for the team, she found time to play bridge or golf with the girls. Clara also enjoyed her time as a member of the Evansville Petroleum Club and Kennel Club. Additionally, Clara loved to spend time with her grandchildren in California, who lovingly referred to her as “Doll Baby”. Six years ago the Mooneys, now living in Dallas, along with the Stitts, moved Doll Baby to Texas to care for her during her final years. Clara is preceded in death by her parents, husband William Austin (Bill) Stitt, son-in-law Chad Mooney and sisters-in-law Marilou Madden and Marge Posthauer. Dallas, TX; sister Virginia Gore of Evansville, IN; grandchildren Ashley Mooney Wesson (Holt) and Austin Mooney; and nephews in Evansville; Steve Gore (Beth) and the late Glen Gore (Angie). A special thanks to the entire Gore family and memory care providers at Atria Newburgh and Monticello West in Dallas, who lovingly cared for her continuously during her eight year battle with Alzheimer’s disease. Visitation will be held from 4:00 p.m. until 7:00 p.m., Friday, February 15, 2019 and Funeral Services will be held at 2:00 p.m., Saturday, February 16, 2019 at Boone Funeral Home East Chapel, 5330 Washington Avenue. Burial will follow at Nobles Chapel Cemetery in Elberfeld, IN. at 320 Cherry St. Evansville, IN 47713.